Use guided inquiry to introduce many major topics to your students. 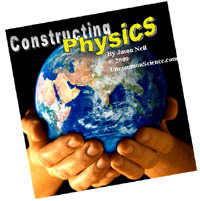 See "Physics Fix" and "Skill Practice" free sample lessons. Use the "Buy Now" buttons below for fastest service or the printable order form (PO's accepted). Note: The downloadable files are only available online. The printable order form may be used to order the CD versions of the files. pdf format. You can easily print lessons for students. Customize the lessons for your students and your specific requirements!